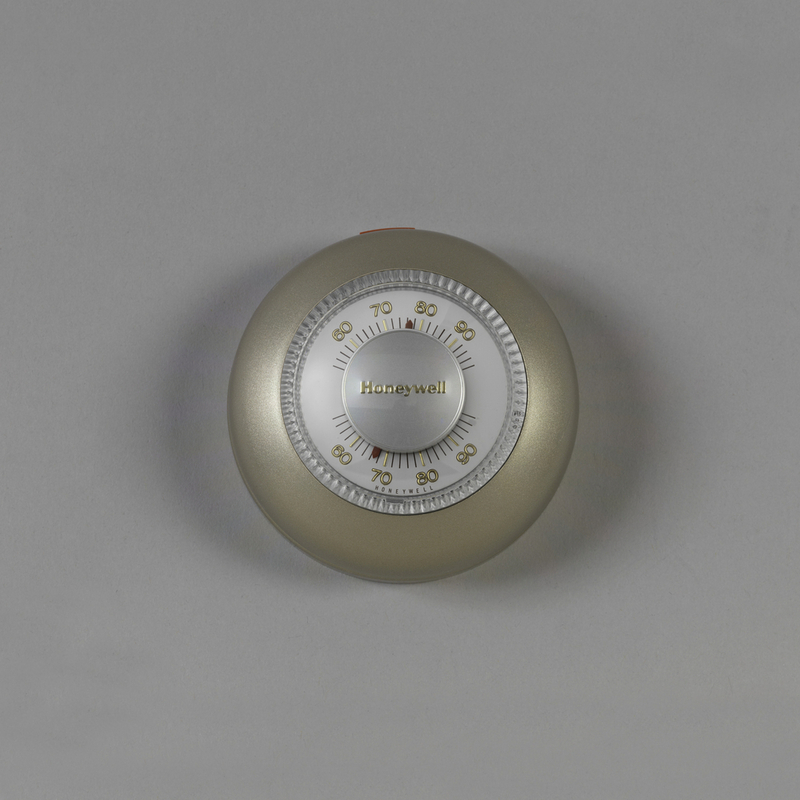 This is a Thermostat. It was designed by Henry Dreyfuss and manufactured by Honeywell, Inc.. It is dated ca. 1990 and we acquired it in 1994. Its medium is metal, plastic. It is a part of the Product Design and Decorative Arts department. This object was donated by Honeywell, Inc.. It is credited Gift of Honeywell Inc..
"Honeywell" in gold on central disc.